Welcome apple season with this Granola Apple Pudding! It is so simple to make and so delicious! You can surprise your family with dessert tonight – made with ingredients you probably have in your kitchen right now! Granola Apple Pudding for Dessert! But for those of us down south, the slight dip in temperature means high-80s outside, instead of high-90s! 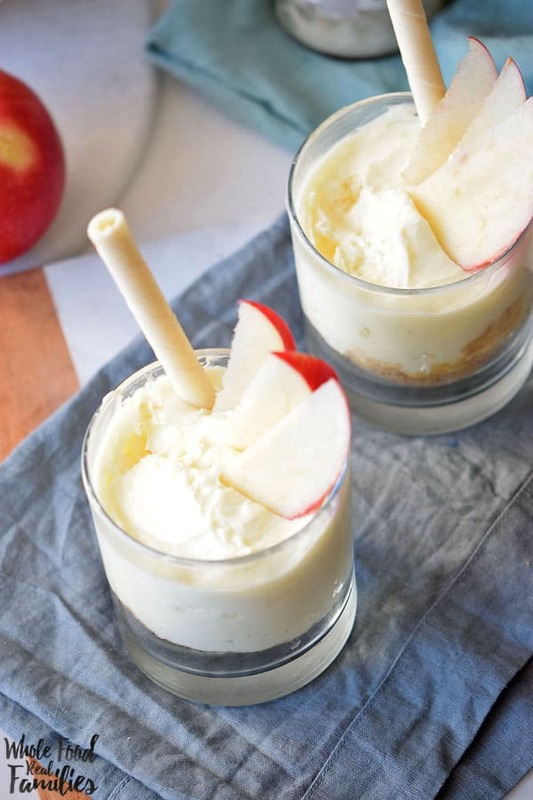 So though we know cooler weather is coming, we’re not ready for hot apple cider quite yet. 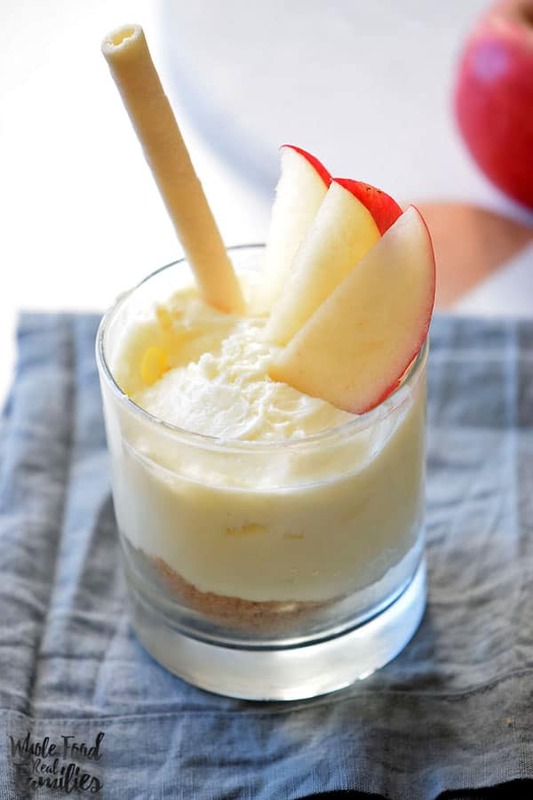 This Granola Apple Pudding is an excellent dessert as you dream of cooler weather! Granola and apples are made for each other. If you have a homemade granola recipe you love, I promise it would be awesome with this pudding! This is the granola we make a home. It makes about 7 tons but (a) I have a family of 5 and extra kids and teenagers are around all the time and (b) we also eat it for cereal in the morning if I have it in the house. This is a super old recipe but I have never had granola I like better! But if you just can’t imagine yourself going all crunchy momma and making your own granola, I promise not to tell if you use granola from a package! 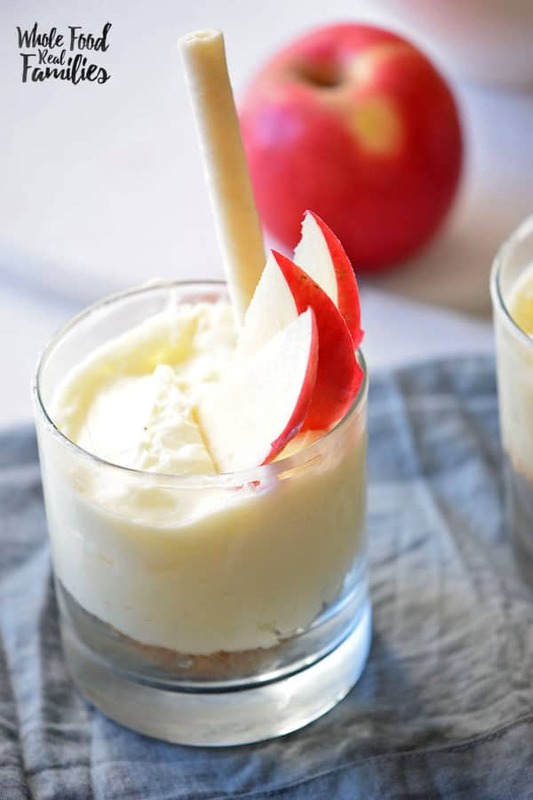 Are you ready for apple season? 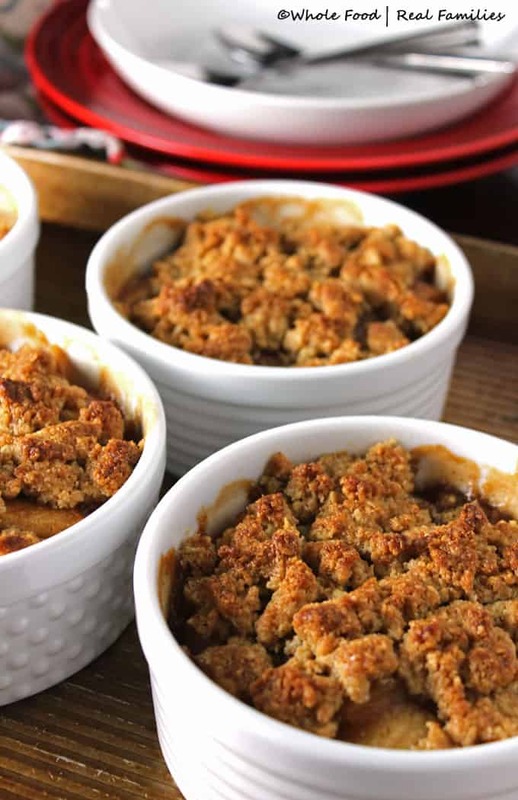 This Whole Grain Apple Crumble is one of my FAVORITE desserts of all time. And is is seriously easy to make. I love the whole idea of single serving dessert portions. It is really cute if you are serving dessert for guests. And keeps my kids from arguing over who got more. LOL! 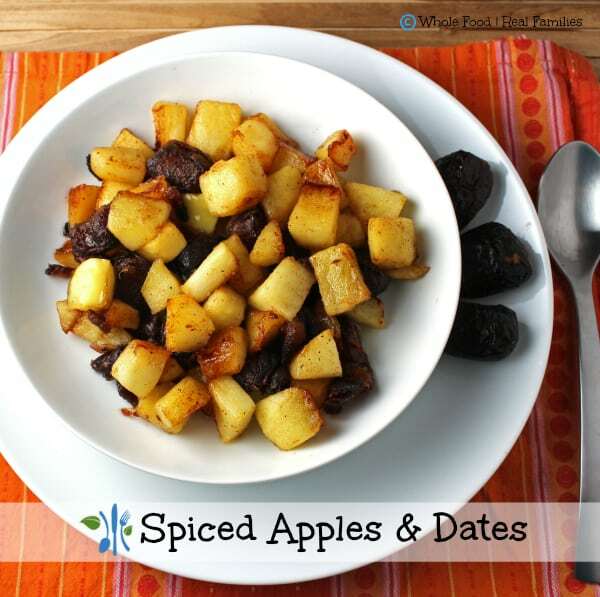 Spiced Apples and Dates are a great side dish with pork or a great dessert with a big scoop of ice cream on top. There is no refined sugar in this recipe. Just sweet apples and dates! What flavors do you crave the most when Fall weather comes?? Any great recipes to share? Let me know in the comments! In a saucepan over medium heat, stir the flour, syrup, apple cider, egg, and applesauce. Cook and stir until the first bubble forms. Reduce to low heat, add the vanilla and stir for 1 more minute. When ready to serve, fill the bottom of glasses with granola. Pour the pudding into the glasses. 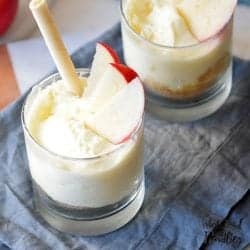 Top with apple slices and rolled wafer cookies. Serve and enjoy. Use almond or coconut milk to make it dairy free.